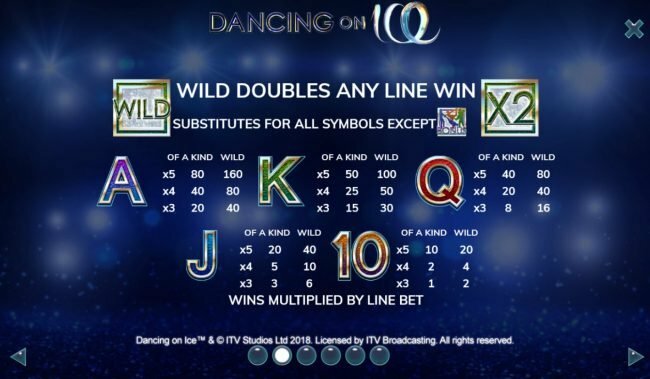 Dancing On Ice slot machine derived on the ice skating concept with 20 lines and 5 reels from Gaming Realms. 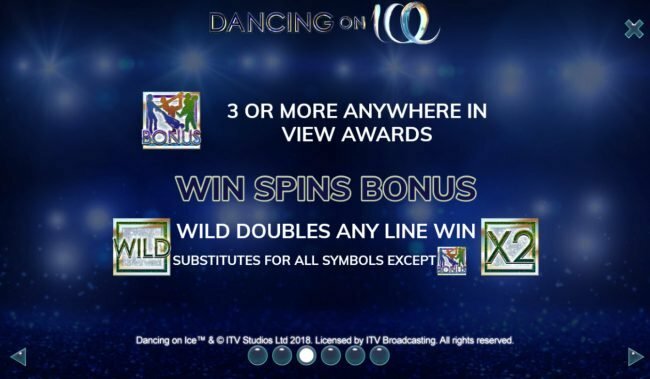 Dancing On Ice Slots has not been reviewed yet, be the first to rate this slot. 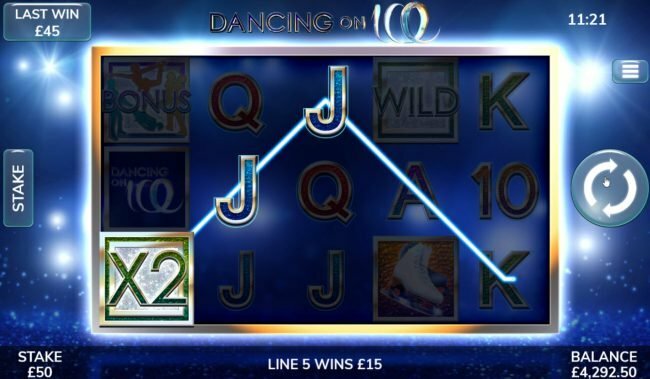 Dancing On Ice video Slot Machine, a wonderful 20 pay-line, 5 game reel slot machine. 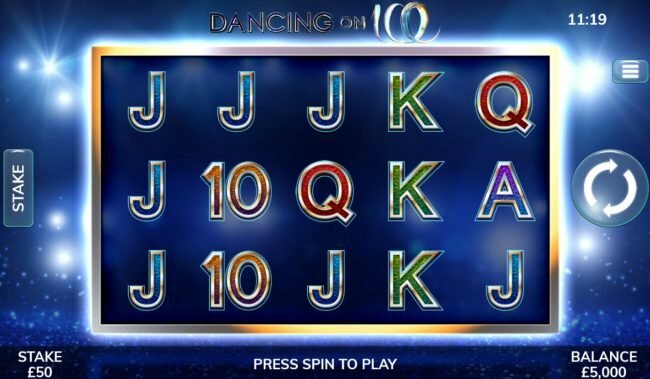 Playing this well crafted ice skating themed online video slot machine delivers a ton of game play by featuring symbols including game logo, red skater, blue skaters and ice skates. 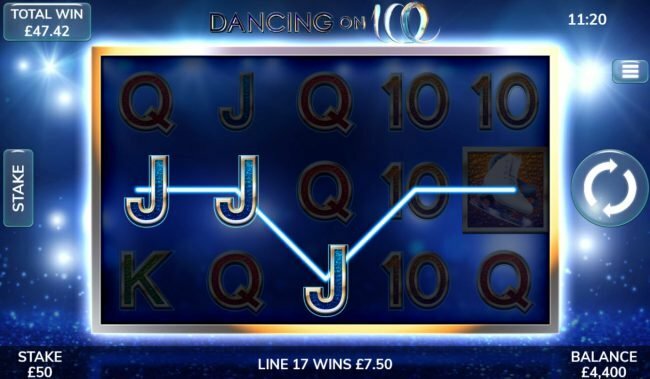 Along with these Dancing On Ice has ace, king, queen, jack and ten that add the feeling of this decent ice skating slot. Allowing spins of $0.01 all the way up to $50, this Gaming Realms powered online slot allows lots of options. A large win will have a few wilds in the winning combinations. More than one Bonus symbols will reward a generous payout. As with many other games having more than two scatters usually starts a bonus round game. 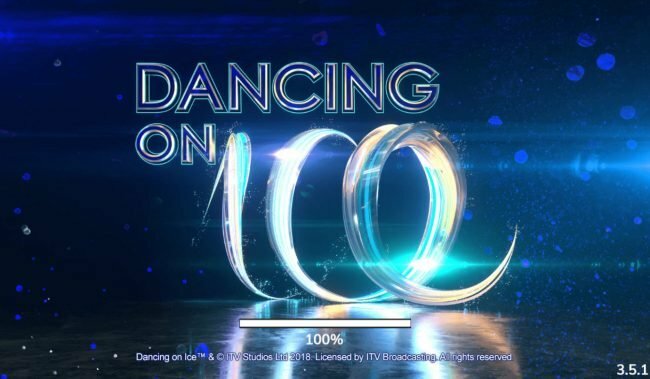 We suggest other games like Pay of the Dead as it has 20 lines like Dancing On Ice, similar Slots including Slingo Reel Bonus and Frooti Booti are enjoyable as well. As a lot of Gaming Realms online games like this type interact the same so play some other slots as well. 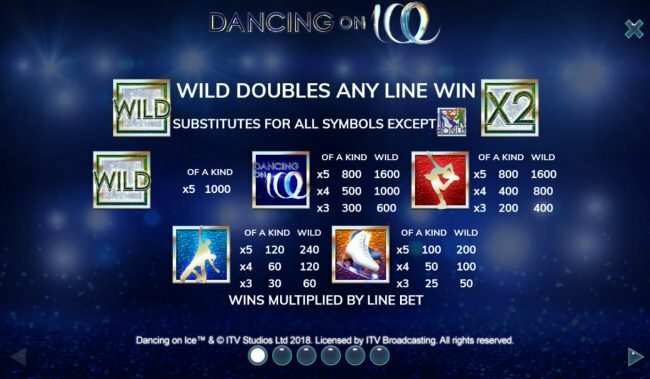 Dancing On Ice is a decent slot machine, the ice skating theme was well thought out and the game play is exciting. Other video slots like Dragon&apos;s Gems share a lot of the same design. Like most slots there is a great possibility of winning big but in the end all slots favor the house. 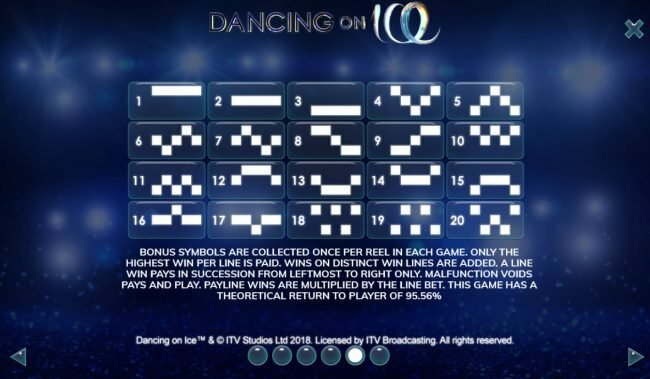 The bonus round section of Dancing On Ice is obviously the greatest part. Here is the information on the Bonuses you can get. The Free Spins with Win Multiplier is triggered once you achieve three or more bonus symbols anywhere in view, this feature seems to pay out quite well. 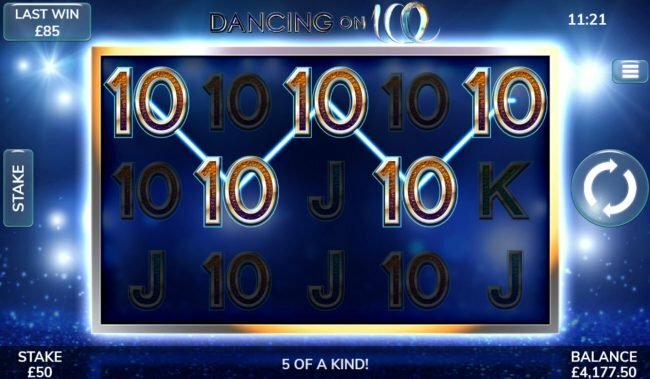 I have to grant Dancing On Ice 5 of 5 stars for the bonus rounds. 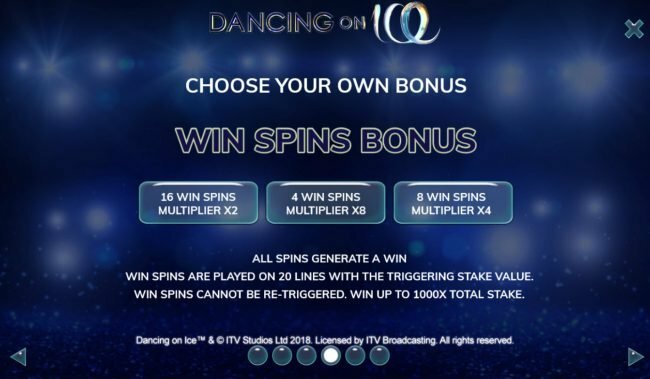 Bonus rounds add a lot of diversity to modern Online Slot Machines, this is by far the best piece of Dancing On Ice.